The Peace and Security Council of the African Union (AU), at its 585th meeting, held on 30 March 2016, in Addis Ababa, dedicated an open session to the theme: Climate Change: State fragility, peace and security in Africa. 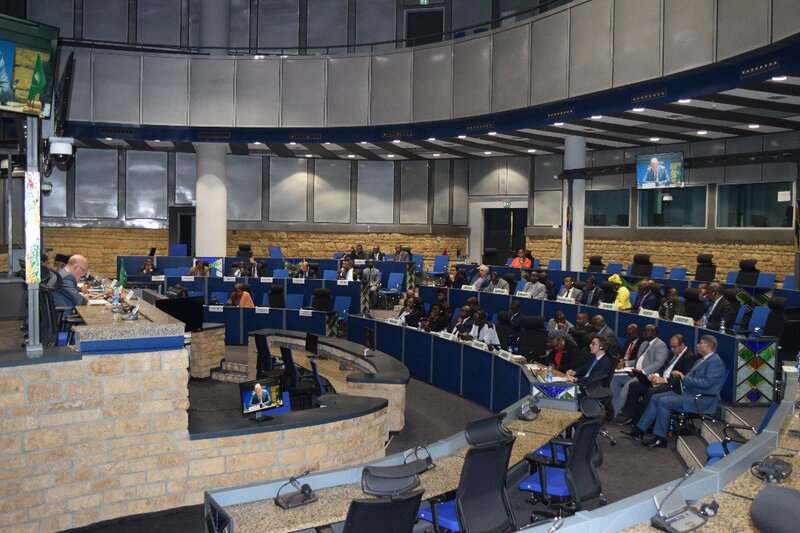 Council took note of a presentation by the AU Department of Rural Economy and Agriculture and by a representative of Oxfam International to the AU, as well as of statements from AU Member States, international partners, specialized institutions and civil society organizations. 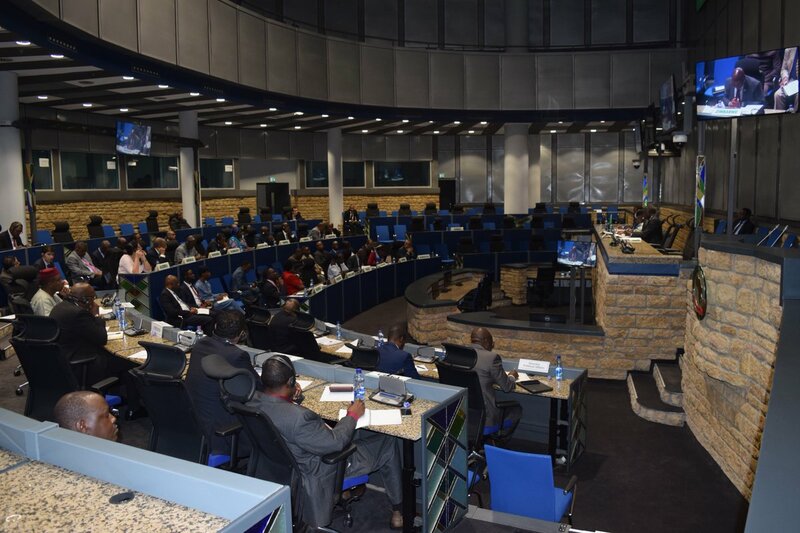 Council recalled previous AU decisions, particularly Assembly/AU/Dec.246(XII), Assembly/AU/Dec.580(XXV)Rev1 and Assembly/AU/Dec.603(XXVI) adopted at 12th, 25th and 26th Ordinary Sessions of the Union, respectively, regarding the African Common Position on Climate Change and the Mitigation Factors. Council and participants noted with deep concern that Africa, which is the least contributor to the problem, continues to be negatively affected by climate change and its adverse effects that include, El Nino-related droughts, floods, erratic rainfalls, desertification, and the attendant humanitarian disasters, including food insecurity, internal displacement of populations, loss of livelihoods of farming communities and putting stress on the limited resources available. They acknowledged the inextricable link between climate change, peace and security in Africa. In this regard, they stressed the need for Member States to continue to build their national resilience capacity and to mainstream climate change in their national development agendas. Council and participants also acknowledged that the impact of climate change are potential triggers of inter-communal violence, particularly in pastoral communities. In this regard, Council and participants stressed the need for Member States to share international expertise in mitigating the impacts of climate change, including in terms of contributing towards building the capacity of Member States for sustainable harvesting, use and management of underground water. Council and participants noted that climate change and its impact knows no boundaries. In this regard, they stressed the need for coordinated international efforts in mitigating the impacts of climate change. Council and participants expressed solidarity with the countries most affected by climate change in Africa. In this regard, Council and participants appealed to those Member States, which are in a position to do so, to provide humanitarian assistance to the countries most affected by climate-change related humanitarian crises. Council stressed the importance of the Commission to mainstream climate change in all its activities, particulalry in early warning and conflict prevention efforts. In this regard, Council requested the AU Continental Early Warning System (CEWS) to work closely with early warning centres of the Regional Economic Communities and Regional Mechanisms for Conflict Prevention, Management and Resolution (RECs/RMs) in building the capacity building of Member States on early warning on potential climate change- related conflicts. Council and participants welcomed the adoption of the Paris Agreement on 12 December 2015 as a historic turning point in international cooperation on climate change. They welcomed the fact that the Agreement contains a universal and legally binding framework for reporting, transparency and review of implementation and capable of driving greater ambition to tackle climate change. In the regard, Council urged all Member States, which have not yet done so, to sign and ratify the Paris Agreement and expedite its implementation. Council agreed to hold an annual open session on climate change.